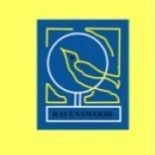 At Ravenswood Primary we have been developing our approaches to learning and teaching to ensure we are providing our learners with the highest quality learning experiences which support them to learn and develop skills that they can apply across all areas of the curriculum. Your education should help you to use and develop your talents and abilities. It should help you to learn and live peacefully, protect the environment and respect other people. Article 29 of the UNCRC. To ensure that our policy reflects the views of our school community we have undertaken a consultation period and gathered views from learners, parents/carers and all staff. The approaches to learning and teaching that we use are key to supporting the effective delivery of the four contexts for learning. Learners will engage with the United Nations Convention on the Rights of the Child through the four contexts for learning. Collectively, the approaches in the policy will ensure that our learners are receiving a school experience that is engaging and active, sets challenging goals, involves them in the planning, carrying out and assessment of the learning and takes account of the ways different learners progress. The overall aim of this policy is to set out the approaches to learning and teaching we employ at Ravenswood Primary to support our learners to develop the four capacities. Our learners will demonstrate this by becoming more independent and successful in their learning, by having greater knowledge and more secure understanding, and by being able to use the knowledge that they have more effectively. All areas of the curriculum, at all stages, are enriched and developed through an active approach. Children learn by doing, thinking, exploring, through quality interaction, intervention and relationships, founded on children’s interests and abilities across a variety of contexts. All of these combine to build the four capacities for each child. Ability to solve problems and evaluate a variety of issues. Formulating and asking pertinent questions. Actively listening, thinking and reflecting. Independent learning and can reflect on their own learning. Perseverance with learning using a variety of skills as they progress. Through these skills being developed children can explain their learning, investigate and explore independently or as part of a group. Positive Interdependence – our learners will complete a task by establishing mutual goals, assigning roles and establishing worthy rewards. Face-to-Face Interaction – all children will partake in positive discussions surrounding the given tasks and completing the assignment. Individual Accountability – everyone will understand, know and learn all required information so they can contribute to the project. Interpersonal and Group Skills – in order to effectively learn all pupils will be encouraged to communicate clearly, actively listen and respect the role of the leader. Group Processing – all groups will be given time to reflect upon the process that has taken place to ascertain the positives and challenges from their activity and therefore impact on future learning experiences. Embracing the ethos of CfE, cooperative learning allows our learners the opportunity to reap from the success of an achievement. Results from Brady & Tsay’s (2010) study support cooperative learning as an active methodology that fosters higher academic achievement for all pupils in all four contexts for learning. Cooperative learning has social benefits as well as academic. Such benefits contribute to the overall satisfaction of learning and schooling. Our learners will continue to benefit from interaction with their peers. These may be individual one-off projects or longer courses of study, planned around clear purposes, based upon experiences and outcomes drawn from the curricular areas or subjects within them. The emphasis is on the process of learning and exploration of the interaction between subjects, not just the context. Learners work individually or collaboratively to develop confidence promote critical thinking, compare and contrast what is learned in different subjects, and to identify and transfer the skills needed to investigate a particular issue or problem. Skills for learning, life and work are developed. Interdisciplinary learning brings learning to life. It is usually linked and/or directly related to real-life experiences which makes it a relevant and necessary part of our curriculum. It impacts our children by allowing them to become enthusiastic, motivated and involved in their own learning. It allows more in-depth exploration of topics, issues and problems within and across subject disciplines and effectively allows our children to further their development of the four capacities. Outdoor Learning is a broad term that includes: out door play, school grounds projects, environmental education, recreational and adventure activities, personal and social development. It provides a dramatic contrast to the indoor classroom. Direct experience outdoors is more motivating and has more impact and credibility. We value the importance of using the natural environment for the stimulation of learning and the promotion of health and well being. It develops knowledge and skills in ways that add value to learners’ everyday experiences in the classroom and has a positive impact on long term memory. Outdoor learning fosters the development of specific academic skills, as well as improved engagement, achievement and stronger motivation to learn. It promotes positive behaviour and improved physical self-image and fitness. In addition it impacts positively on pupils’ interpersonal and social skills. Outdoor learning renews learners’ pride in their environment and engages greater community involvement, fostering a greater sense of belonging and responsibility. Global Citizenship enables learners to develop the knowledge, skills and values needed for securing a just and sustainable world in which all may fulfil their potential (Oxfam). Effective planning lies at the heart of providing a high quality learning environment. All teaching staff will plan using the principles for curriculum design to ensure that we promote children’s development and learning across a broad range of contexts. This helps to develop thinking and learning and support our learners to grow and mature as independent and cooperative learners who contribute actively across a range of learning and social situations. Challenge and enjoyment. Making effective use of the experiences and outcomes will ensure opportunities for active, challenging and enjoyable learning are maximized. Planning will respond to the needs of the individual learner. Breadth. Planning will provide all learners with the time to internalize new learning and apply it in a range of situations. Progression. Effective assessment of learning and teaching within the classroom and monitoring and tracking by the senior management team will support teaching staff to plan for progression within and across the levels. Depth. Planning will take account of the need to discuss learning, explain it to others, apply what has been learned in different contexts to add depth to learning. Personalisation and choice. Knowing our learners allows us to take account of their prior learning experiences and interests. Learners will influence and be actively involved in the planning, organising and assessment of learning opportunities where appropriate. Coherence. Learners will be supported to see links between different aspects of learning within and across subjects and curriculum areas and in interdisciplinary studies. Relevance. In planning the curriculum we will select content which connects with the child’s experience, learning and interests. They will be encouraged to make connections with experiences in their family, local community, the world of work, their experiences of travel or their interests in sport or media. Personal Learning Planning through our Progress Conferences gives learners, parents/carers and teachers the chance to discuss current skills and abilities, identify next steps for learners and agree targets that everyone can support the individual child to work towards both in school and at home. School trips to venues that support, deepen and contextualise the ongoing work of the class. Visiting specialists who can bring deeper levels of understanding to the learning experiences provided. Focus weeks to support the application and transfer of skills across curricular areas. Impact meetings with teaching staff to discuss the ongoing work of the class, assess the impact learning experiences have had on learners, ensure next steps are meeting the needs of all learners and track progress across the range of curricular areas. Pupil focus groups will provide the senior management team with the opportunity to discuss a variety of topics with learners and gauge their views/perceptions, understanding and involvement of and in the learning process. Golden Book sessions led by the senior management team will support consistency and high standards across all levels in the range of curricular areas. Classroom support visits will allow the senior management team to work alongside teaching staff during their delivery of a range of learning and teaching experiences. This will support a consistency of approach across the school and allow appropriate supports to be provided where necessary. Moderation of standards through staff involvement in Assessment and Moderation Circles and sharing good practice will ensure assessment bundles that are valid and reliable and support teacher judgment. This document will be periodically reviewed and updated. Staff, learners and parents have an active part to play in the evolution, development and maintenance of this policy. As a result all parties will be consulted during a period of review. This policy will be communicated to parents periodically through school newsletters, the distribution of leaflets and provision of parent workshops to ensure they understand the school’s approaches to learning and teaching. All staff have contributed to the writing of this policy and will have a copy for their own use in their record of work. Aspects of the policy will be shared with learners through the Pupil Council. It will be the responsibility of the Headteacher to review the policy annually using the information gathered from the monitoring procedures and consultation exercise. Formal evaluation will be undertaken within the annual School Improvement Planning process using the performance indicators ‘How Good is Our School’. Staff, pupils and parents participate in this evaluation process. This will identify strengths and areas for further development. The Learning and Teaching Policy will be reviewed as part of the School Improvement Self-Evaluation in September 2016.